How many episodes of Animaniacs have you seen? Girth Plotz: We meet again, Princess. Dot: That's Princess Angelina Contessa Louisa Francesca Banana Fanna Lay Onna Pile Of Origami the Third. 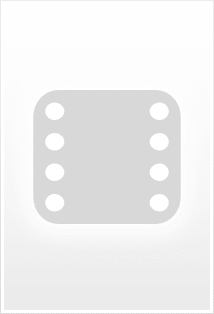 But you can call me Dot. Animaniacs was THE cartoon of the 90s!! It was ace. The writing and animation were brilliant, and the voice acting was in a league of it's own. 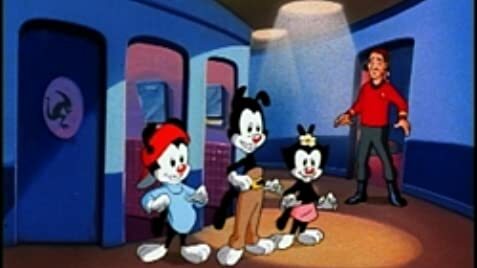 Unlike Warner Brother's contemporaries, Tiny Toons and Taz-mania (which I also loved), Animaniacs would always show at least three different franchises an episode, meaning there was always something for everyone. The humour was very sophisticated for a cartoon, and as a result it could entertain kids and adults alike. 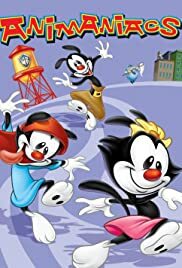 The main franchise revolved around the Warner Brothers and their sister (The Warner Siblings, then), Yakko, Wakko, and Dot. Locked in the studio water tower for 60 years for being too crazy, they break out and proceed to drive just about everyone they meet around the bend. It was great. However, if they didn't appeal (as if) or you fancied a change, there were many other equally wonderful characters with their own adventures, including Slappy the Squirrel, Rita and Runt, Buttons and Mindy and Pinky and the Brain (who got their own spin off), to name but a few.